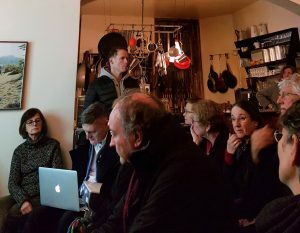 Fascinating conversation in Leila’s café in Shoreditch in February 2018 organised by the dynamic East End Preservation Society. Great to see veteran activists from the Tolmers Square campaign in the 1970s sharing experience with those campaigning over 40 years later on remarkably similar issues. Plenty of scope for more such events to save people from having to continually reinvent the wheel. 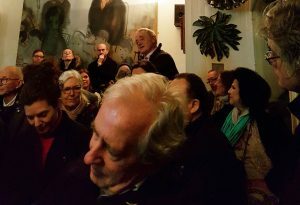 In the photos below by Susie Clapham you can glimpse Patrick Allen, Martin Argles, Charles Campion, Sacha Craddock, the Gentle Author, Frances Holliss, Liz Jellinek, Leila, Ken Morgan, Will Palin, Mimi Romilly, Barry Shaw and Nick Wates amongst others. More information on Tolmers here. I have enrolled to do a PhD by Publication at the University of Brighton, starting 1st April 2018. The working title is ‘Engagement in Placemaking’ and it will give me the opportunity to review the five main books I have produced over the years, assess their impact, reflect on their contribution to relevant academic fields and identify future initiatives needed. All very exciting. See here for a crowdfunding page to make it possible and check back here in a while for progress reports. 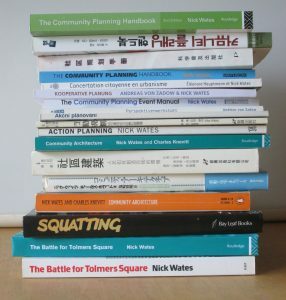 Academic focus on 5 books and their translations, adaptations and new editions: ‘The Battle for Tolmers Square’ ; ‘Squatting, the real story’; ‘Community Architecture’; ‘Action Planning’ and ‘The Community Planning Handbook’. So where have I got to? Almost completed a first full draft of my PhD thesis. Crowdfunding has made it possible. Thanks everyone. But there is still a way to go and lots to do. If you would like to become a sponsor please go to my crowdfunding page. Plus a fantastic contribution specifically for scanning Tolmers archives of £3,772 (not directly related to my PhD). What shall we do with Communityplanning.net? 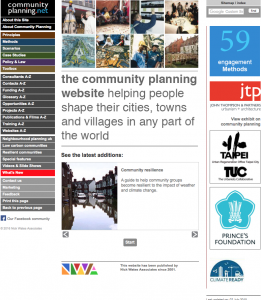 The Community Planning Website was first conceived by Michael Mutter at DFID. We were completing the first edition of The Community Planning Handbook in 1999, which DFID supported the research for, and at one of the final editorial meetings, Michael suddenly declared, ‘“You do know that this book is really a website don’t you.” He was right and DFID subsequently funded its design and construction. Other enlightened organisations later sponsored various aspects of its development. Kelvin MacDonald initiated a tranche of case studies funded by The Royal Town Planning Institute, The Academy for Sustainable Development helped with a major update and English Partnerships, The European Union, The Prince’s Foundation, The Environment Agency and the Building & Social Housing Foundation all helped with specific features. Its a great website and still well used. Its been Google’s Number 1 for ‘community planning’ for a decade and a half, despite determined efforts to unseat it. It has been praised for its design and content (see About this website). There are many good new websites dealing with the same subject matter with more bells and whistles (e.g. Community21, Community Heart and Soul) but Communityplanning.net remains an unrivalled resource of basic how-to guidance and listings. But Communityplanning.net needs investment to update it, technically and editorially. The original business model of securing funding from advertising is no longer sufficient (as many other idealistic web publishers have found) and Nick Wates Associates, which owns the copyright, no longer has the necessary resources to subsidise it. We are therefore looking for a partner or partners to invest in it and take it forward. Any takers please get in touch. Screenshot of the Home page, 2017, The site now contains 52 universal principles, 60 engagement methods, 22 development scenarios, 14 in-depth case studies, 7 special features, 205 publication listings, 125 website listings, 892 glossary items and much more. 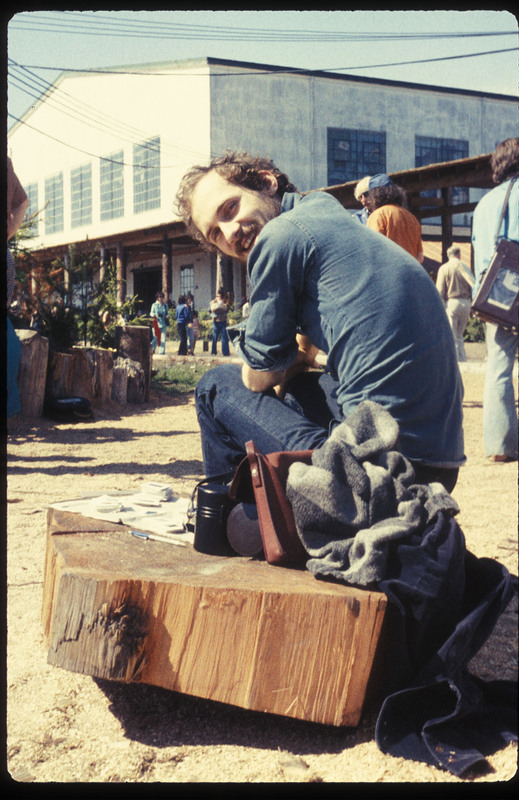 The 1976 United Nations Habitat conference in Vancouver was a significant moment for many of my generation. Human settlements were being discussed at a global level and public participation in their creation and management was the dominant theme. In my file of the event I found an unpublished article I wrote about it at the time which you can see here. It will be interesting to see if the conclusions on Habitat III – taking place in Quito, Ecuador this week – will be substantially different. I doubt it but live in hope. 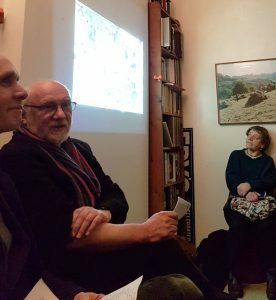 Unable to get to Quito, my modest contribution to Habitat III has been supporting an initiative on John FC Turner’s work which you can see here. 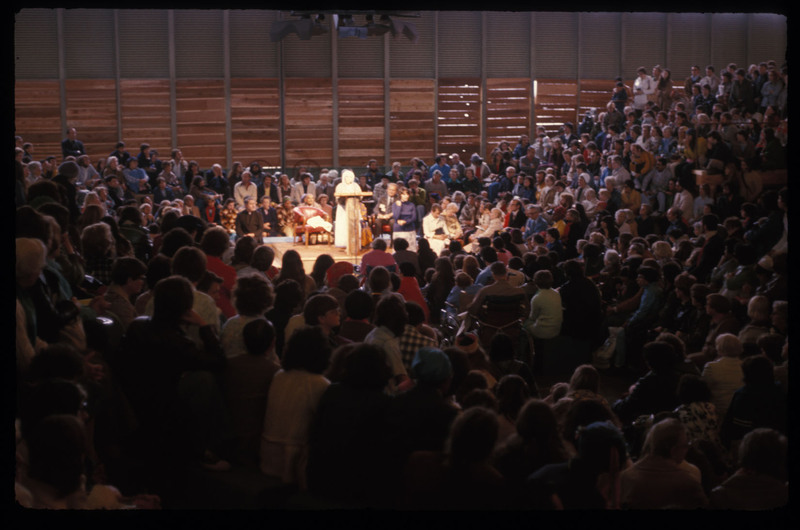 Address to Habitat Forum 1976 by (I think) Barbara Ward. 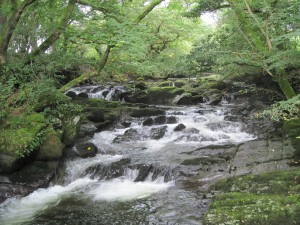 In my early teens I had the good fortune to live by a wonderful Lakeland river where I spent a great deal of my spare time. When it rained up the valley the river became a raging torrent, in a drought it almost disappeared. Over the years I got to know every rock and stone. I knew exactly where to jump across with different volumes of water. 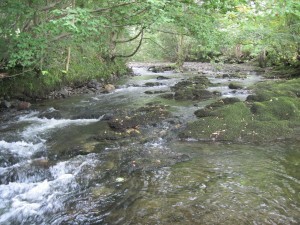 I knew which stones became treacherously slippery when wet, under which stone one might find fish and when it might be possible to use a canoe. Every now and then a local property owner or statutory body would make an intervention; constructing new fences, repairing a weir or cutting down trees. And it was amazing how often these interventions seemed to have a negative effect on my use of the river and also seemed to me to be a waste of resources which could have been spent much better on something else. I had lots of ideas of what could have been done to improve my local environment but of course nobody ever asked me. This was my awakening to the simple truth that the people who understand a piece of environment best are the people who use it and if you want to make it function better then these people need to be involved in generating the solution. Later, at university in London, I discovered to my amazement that this seemingly obvious principle was not part of the practice of modern day architecture and planning resulting in the most horrendous acts of destruction and people being condemned to live in the most appalling environments. But I also discovered that all over the world there were people exploring new and creative ways of involving local people in the creation and management of their environment. Exploring this phenomenon has become the focus of my work.